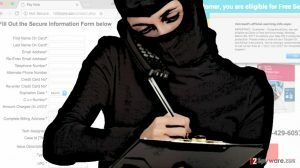 Microsoft.com-input11.info ransomware uses sophisticated techniques to infiltrate computers and hide from its victims. Use Reimage to determine whether your system is infected and prevent the loss of your files. How should you react to Microsoft.com-input11.info ads? How tech support scam pop-up viruses are distributed? 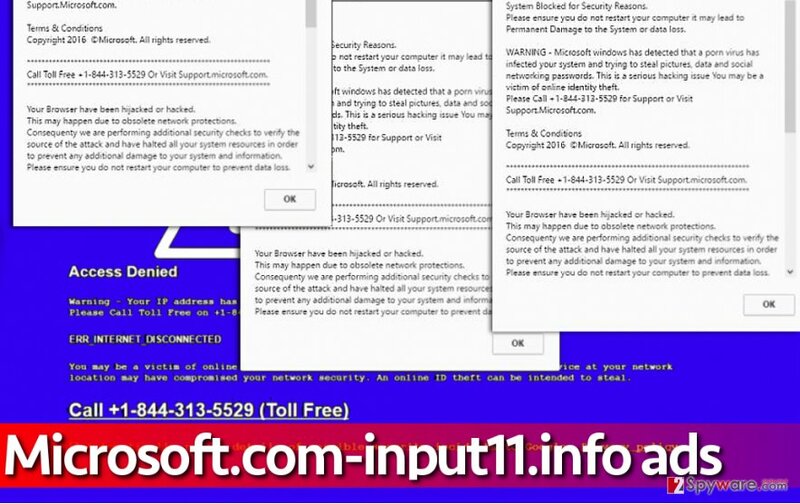 Microsoft.com-input11.info virus is a typical malicious program that falls into tech support scam malware family. Just like the rest of these phony programs, Microsoft.com-input11.info malware attacks user’s web browsers and employs them for placement of bogus alerts. These alerts are designed to scare the computer user and make him believe that the system is heavily contaminated with viruses of unknown origin. This particular virus commands to contact Microsoft technicians at one of the following numbers: +1-844-313-5529, +1-800-610-8993, +1-866-507-946, or +1-855-336-5598. You should NOT call any of these numbers because they will connect you with a tech support scammer, who will try to dupe you into believing that the system is actually infected. These scammers have no shame, and they don’t care about your financial situation. They just want to extort money, sensitive data or anything that they can use for profit. Do not let these scammers deceive you and better do not try to taunt them – just don’t call them, and in case they call you, just hang up. 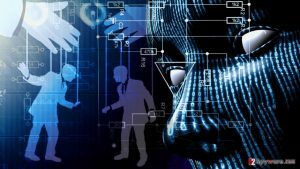 The aim of technical support scammers is usually the same – make money by making the victim purchase some useless programs or services that allegedly can fix a compromised computer. Examples of viruses that advertise tech support malware include “Your Microsoft Computer has been blocked” virus, Adobe Flash Tech Support Scam virus and more. In reality, there are usually no threats that need to be fixed, except the tech support malware itself. For Microsoft.com-input11.info removal, use a good and reliable anti-malware tool like Reimage. You do not want to use some amateur tool that is likely to mess up your system instead of repairing it. To remove Microsoft.com-input11.info virus with the antimalware program, just start a full system scan and sit back. Wait until it finishes scanning the system and then command it to clean detected threats. Your computer can get affected by this or similar malware if you tend to ignore safe browsing rules. Please remember that the Internet is full of interesting content, but it is also full of content uploaded by cyber criminals. So if someone has sent you a message saying, “omg is that you in this video” or if you have received an email stating that someone has sent you $1000 via PayPal, that is likely a scam and you shouldn’t blindly click on links or email attachments that accompany such messages. What is more, you should rethink the software installation routine that you practise. Do you check what’s behind Custom or Advanced settings when installing new software on the system? If not, you risk installing bundled downloads, which are typically presented as “recommended third-party software.” To reject unneeded programs, deselect the ticks proving your acceptance. If your browser has been affected by this filthy malware, you should not think that the system is contaminated with unknown and very dangerous viruses. Typically, it is enough to remove Microsoft.com-input11.info virus itself to solve the problem. However, scanning the system with a proper anti-malware tool will reveal and remove all spyware or malware related files, which is obviously a good thing. Please take into account that Microsoft.com-input11.info removal might be stopped by virus’ attempts to block your security software. In such case, follow these instructions and reboot your PC as explained below. Please read these explanations attentively. 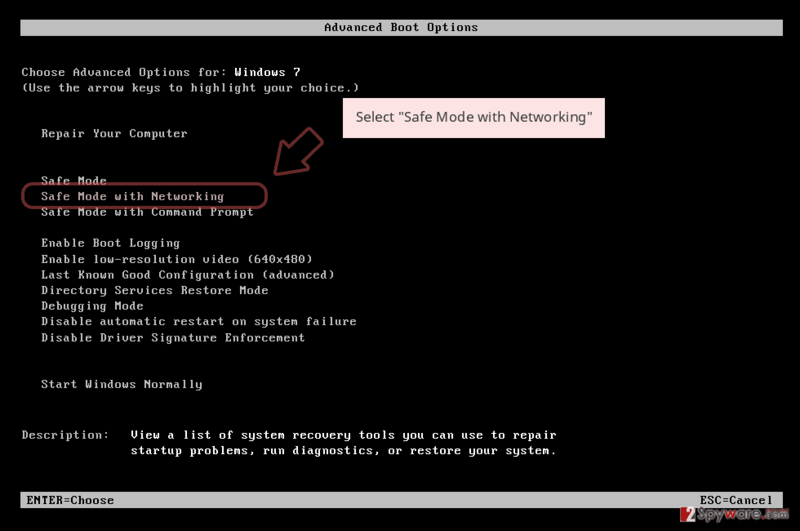 You will need to start your personal or work computer in a particular mode that deactivates almost all startup items and starts a minimal set of device drivers. 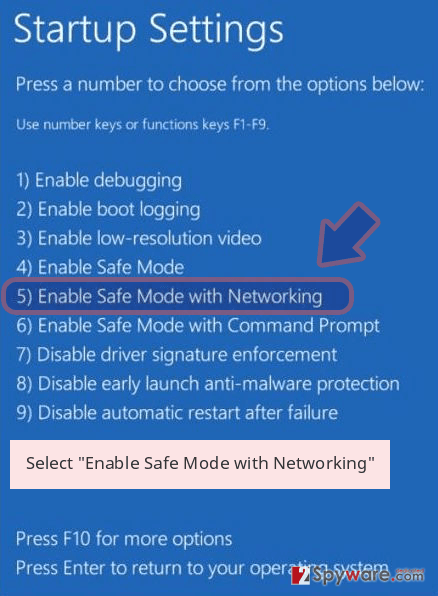 When you do this, you can download or start a chosen antimalware software to clean the computer from Microsoft.com-input11.info virus. Log in to your infected account and start the browser. Download Reimage or other legitimate anti-spyware program. Update it before a full system scan and remove malicious files that belong to your ransomware and complete Microsoft.com-input11.info removal. This entry was posted on 2016-11-24 at 13:05 and is filed under Malware, Viruses. You can quickly scan the QR code with your mobile device and have Microsoft.com-input11.info ads manual removal instructions right in your pocket. How did you remove Microsoft.com-input11.info ads?